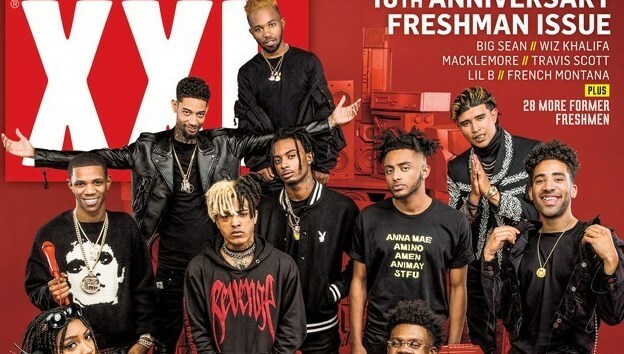 Ever since the series started back in 2007, XXL has used the annual Top 10 Freshman List to showcase the “Leaders of the New School” — young artists to pay attention to. Previous years have seen the likes of Wiz Khalifa, J. Cole, Big Sean, Mac Miller, Kendrick Lamar, and more get props. Now, XXL has released its 2017 Freshman Class. The lineup: A Boogie wit da Hoodie, Kamaiyah, Aminé, Playboi Carti, Kap G, PNB Rock, Kyle, XXXTentacion, Ugly God, and MadeInTYO. Within the past year, most of these rising stars have made names for themselves. See below for a brief introduction to the XXL 2017 Freshmen, along with the songs you need to know from them. Hailing from the Bronx, A Boogie’s strategic grassroots and digital campaign that led to where he is today. Following the release of his debut mixtape Artist (which is also his government name - Artist Dubose) last year, the rapper has gone from mysterious online sensation to Atlantic Records-signed star. He has received cosigns from Drake, DJ Khaled, and Meek Mill, and his current single “Drowning” is climbing up the Billboard Hot 100. From chilling in the projects to making projects. Between features with YG and Drake ("Why You Always Hatin?") and the release of her stellar debut mixtape A Good Night in the Ghetto, Oakland’s Kamaiyah has seen her stock rise at a steady pace. Fresh off this cover, expect hits galore from her follow-up release, Don’t Ever Get It Twisted (via Interscope Records). Playboi Carti might take over summer 2017. With the hype behind his self-titled debut and the amount of plays generated for his hits “Magnolia” and “Woke Up Like This,” the Atlanta upstart is positioning himself as the city’s next star. Drake brought him out during a concert for Adult Swim a few months back, he joined Travis Scott for a high level of energy last month during a show at NYC’s Terminal 5, and during Game 5 of the 2017 NBA Finals (June 12), “Magnolia” soundtracked the new commercial for Tidal and Sprint. Clearly, Carti SZN is upon us. Major without a deal. This Florida-bred artist already had a cult-like fanbase to start. But when a snippet of Drake’s More Life song “KMT” stirred companions to his breakout hit “Look At Me,” XXXTentacion quickly became a white-hot rap sensation. His position as an XXL Freshman only furthers this point: while the rest of the list was chosen by XXL's editorial staff, XXXTentacion was voted into the 2017 Freshman Class by the fans. Carving out a spot for himself within the crowded Atlanta hip-hop scene is MadeinTYO, short for “Made in Tokyo.” With a style as breezy as a cool spring wind, the rapper made a name for himself last year with the standout track “Uber Everywhere” (originally released in 2015) and his You Are Forgiven EP, which spawned features from Travis Scott and 2 Chainz. In 2017, he was the supporting act for Big Sean's I Decided Tour. Expect more waves from his upcoming Metro Boomin collaborative project, Madeinboomin. As we mentioned earlier in the year, 2017 is for PNB Rock. After putting in work these last couple of years, the Philly crooner saw his stock rise with the release of his major label debut GTTM: Going Through the Motions, a project that skillfully balances his lasting hooks and piercing raps. "Selfish," the hit single from the project, gave the rapper a huge boost as it became his first single to chart on the Billboard Hot 100. He recently appeared all over the soundtrack for The Fate of the Furious, including the song “Gang Up” with 2 Chainz, Wiz Khalifa and Young Thug. Hailing from College Park, Ga. is Mexican-American rapper Kap G. He initially broke out in 2012 with the Chief Keef-featured track “Tatted Like a Migo,” and later delivered a politically-charged hit in 2014 with “La Policia.” Last year, things picked up on a higher level with the release of his biggest hit to date, “Girlfriend.” Since then, he’s nabbed a remix with Quavo and Ty Dolla $ign and recently traveled with Chris Brown for The Party Tour. Standing as the walking composite of a ray-of-sunshine and positive energy is Kyle. The man who once took a selfie with Oprah and crowd surfs on a literal surfboard, creates an infectious batch of feel-good rap that has resonated with mainstream America. “iSpy,” his current hit with Lil Yachty, peaked at No. 2 on the Billboard Hot Rap Songs chart, remains a top 20 hit on the Hot 100 and has generated over 170 million streams on Spotify. He is set to drop a full-length later this year and should have more sunny material set for the summer. The internet’s most loved rapper set the net ablaze this past April with his long-awaited debut mixtape, The Booty Tape. 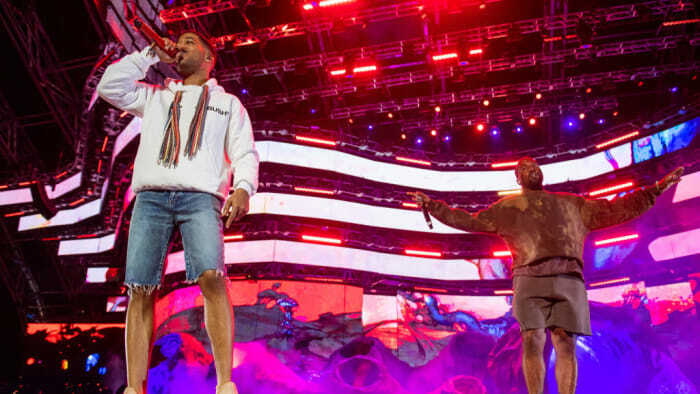 Despite randomly calling his music "trash" in past interviews, the rapper has an appeal that should see him embark on quite the run this summer. Stay tuned to REVOLT all week as we give unprecedented coverage behind this years Freshman list.